White raw hem cropped sweatshirt – Missguided. I love a good cropped sweatshirt, this one from Missguided is the perfect fit. I love how this looks on and styled with a pair of trousers or joggers is the perfect look. Even throughout winter and summer this is such a staple piece to layer with as it is so easy to style. 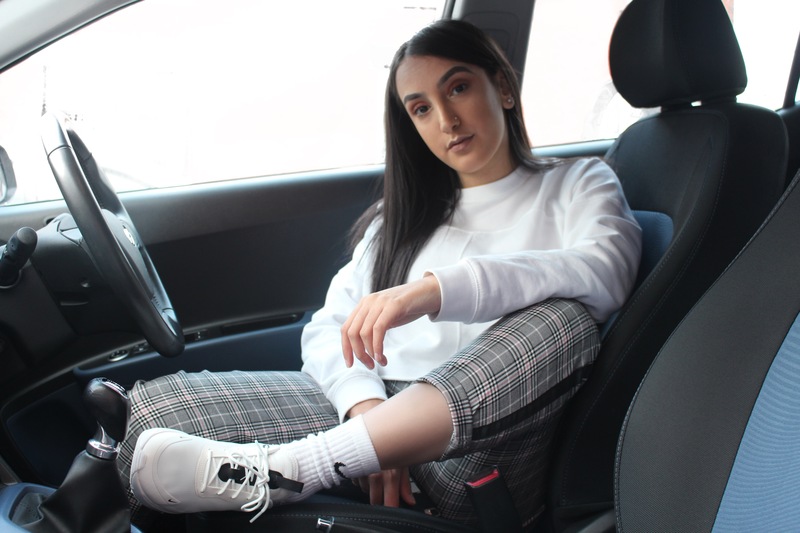 Checkered trousers – Stradivarius. 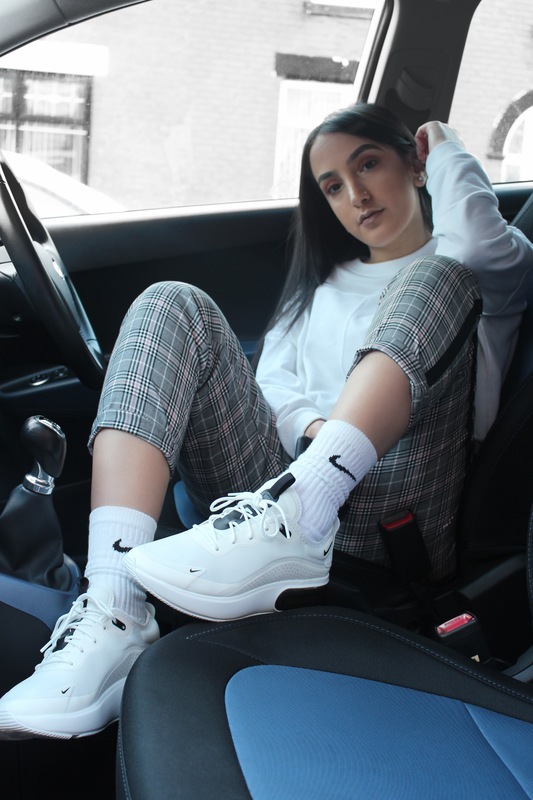 I’ve wanted a pair of checkered trousers for the longest time, I just haven’t been able to find the perfect pair. But I picked these up and I can’t tell you guys how much I love them. The ribbon side stripe is such a vibe on the side of these trousers as well as the subtle baby pink running through the check print. I wanted to style these with the cropped jumper as I wanted something quite simple with the loud trousers. 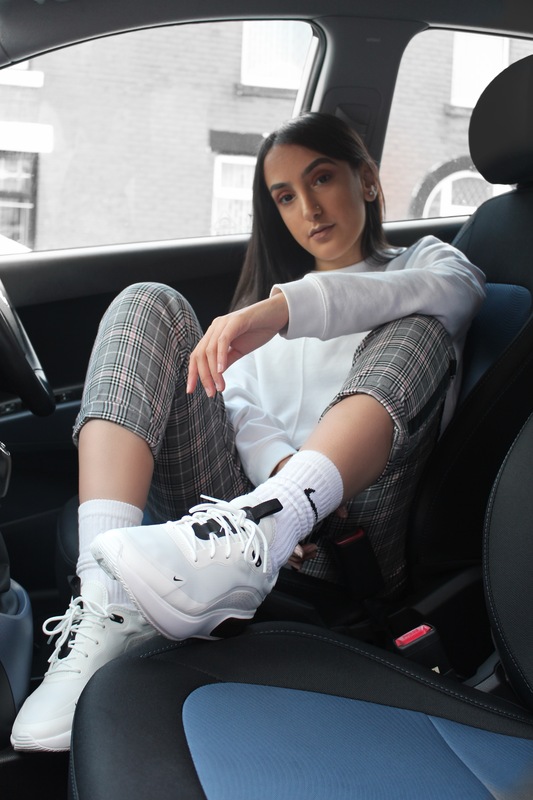 Nike womens 3 pack lightweight sock white – Footasylum. I’ve seen so many streetwear bloggers with these socks and I fell off the socks hype for a while (but guess who’s back on it..ME)! I copped these and I’m so glad I did because they look so dope with my new Air Max. They’re such a versatile pair of socks, I’ve seen them styled with heels, vans and Nike trainers – I cannot wait to experiment with them. 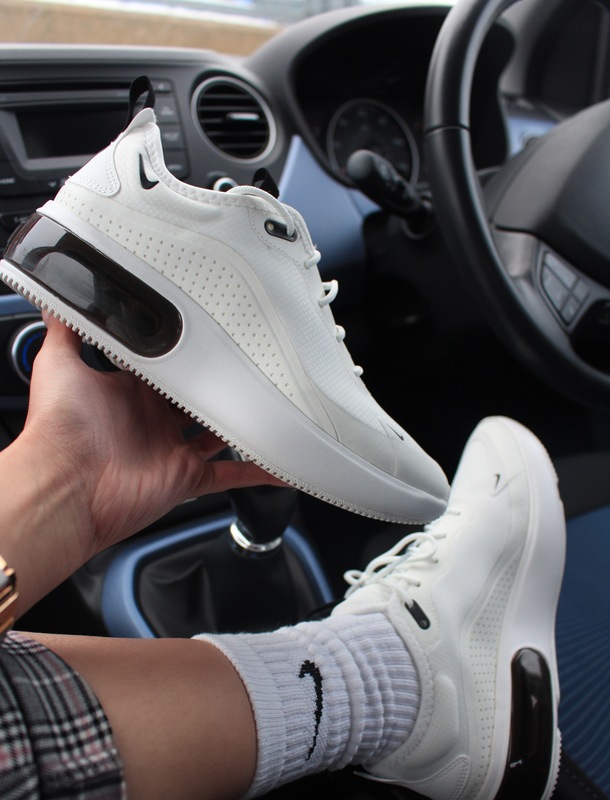 *Nike Air Max Dia – JD Sports. Last week Nike dropped the Air Max Dia a female only trainer! The have a nice chunky sole keeping with that dad shoe trend, as well as three dope colour ways! I was lucky enough to receive the white pair. I am in love they are SO comfy and look fresh with the Nike socks I cannot wait to style them with other fits.